In recent years, it seems, technology companies across Asia -- and particularly in China -- have pursued a single business model: raise stacks of money and invest heavily to acquire users, largely by using their cash to subsidise those users. The theory goes that as long as you can outspend and outgrow your rivals, you will eventually dominate the market place, enabling you to raise prices and produce quasi-monopolistic profits. At worst, if you stumble along the way, you will be taken over at a rich valuation. This approach originated in Silicon Valley, of course, though it has been followed with even more fervour and less thought in China -- where the numbers, whether of users, apps, time spent online or whatever, are eyewateringly larger and more seductive. So investors have happily played along -- until now. Suddenly, however, this whole model is being questioned as one high-profile start-up after another runs into trouble. In the US, for example, the future looks murky for social media platform Snap and meal-kit provider Blue Apron, as well as for whole sub-sectors such as makers of Virtual Reality goggles. In China, concerns are also rising across a wide variety of sectors, though today I will focus on just two examples. The first is the bike-sharing market, where Ofo, one of the best-funded start-ups ever, is close to bankruptcy. As this excellent analysis shows, Ofo launched four years ago with a host of advantages, including a clever idea, powerful backers and first-rate political connections. Even so, low barriers to entry and massive competition -- between 2015 and 2017, more than 70 bike sharing companies were founded in China -- meant that no single company managed to create a dominant network. 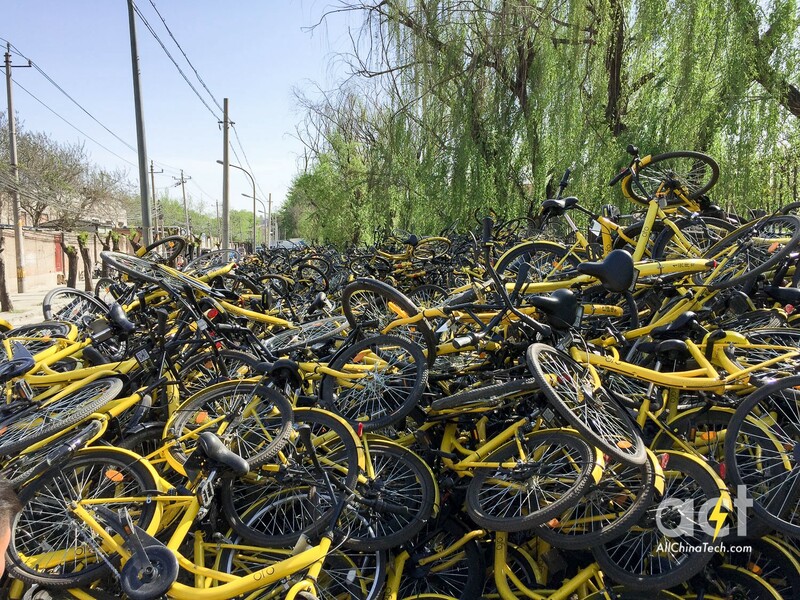 So the whole premise of the business model was fatally undermined, with the result that after years of crippling losses, Ofo and many others are laying off staff while millions of unwanted bicycles pile up in Chinese cities. At least the photos are spectacular! from the start of 2019, we have started producing original analysis of the Asian companies and sectors that we cover. Labelled "scoutAsia research" and exclusively for our subscribers, you can find these articles most easily via our "News Search" function. Please use the "Source" filter to look for "Opinion & Analysis" and then click on "scoutAsia Research". A second area of concern is China's video streaming services. As this scoutAsia Research piece analyses, the dominant three -- iQiyi, Youku and Tencent Video -- owned by the country's tech triumvirate of Baidu, Alibaba and Tencent, are rapidly racking up paid subscribers. Not unlike Netflix. And just like Netflix, they are seeing their costs for marketing, development and (above all) original content rising even faster -- so losses are ballooning. Granted, their parents have deep pockets. Even so, without a clear path to profitability, at some point their patience will presumably run out. This is indeed the larger lesson to be drawn here. New tech companies, in China and elsewhere, and their investors have to rethink the journey from foundation to maturity and profitability. Almost certainly, there will have to be more emphasis on the latter and less on simply getting bigger. Growth for its own sake is no longer enough...if it ever was.